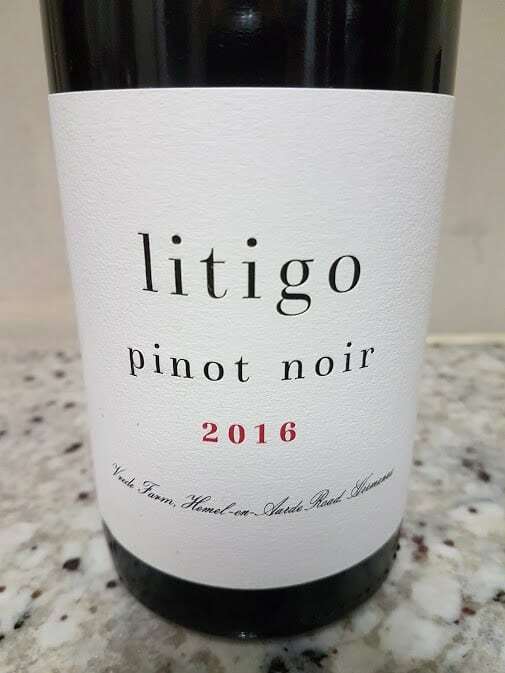 Litigo sees lawyer Eben van Wyk collaborating with Peter-Allan Finlayson of Crystallum to make a small-batch Pinot Noir, winemaking in the case of the 2016 involving partial whole-bunch fermentation before maturation in 15% new oak barrels lasting 11 months. Alcohol is 13.18%. The nose shows black cherry, musk, earth and spice while the palate has good fruit density and fine tannins. Well crafted, neat and tidy but perhaps a tiny bit anodyne. Approximate retail price: R360 a bottle.